Today marks three weeks since my initial foray into a sugar free life, things always get worse before they get better right? Today’s update is short and sweet, I’m busy turning lemons to lemonade. All was going well, no weird cravings, and I was completely on track. I was super focused with my eating because I had a big wrestling match on Saturday and I really wanted to look and feel my best. Show day! My plan for the weekend was to thrown in a 48hr fast - I hadn’t done more than about 32 hours yet, but during my match I took a fall outside the ring and managed to concuss myself yet again. It’s only mild this time, but in my daze I headed to catering and grabbed all the vegan food I could find. Which ended up being Thai Chilli Doritos, half a bag of Farmbake Peanut Brownies and a couple apples. I have very little recollection of what happened this day. I only remember eating a whole box of Fry’s Vegan Nuggets - which are sugar free! Today I've compiled a few of my favorite apps that helped me with my health and fitness journey, all of the following apps are free to download and use (paid upgrades are available but you don't really need them). In my quest for health and fitness, these are some of the greatest tools I have come across. 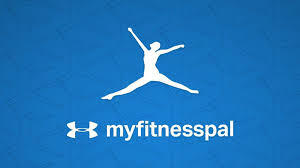 My Fitness Pal This is a great app to help you keep your diet on track, it has a huge database of foods, and allows you to scan bar codes of packaged food items to input into your daily diary. It also shows you macro/micronutrients and allows you to set your own targets, whether you are working towards weight loss, or weight/muscle gain. You can also record your daily exercise and it gives you an approximate number of calories burned for each exercise. This has been a great help to me over the years, and its one of the tools I used everyday last year when I lost 10kgs. I now use it to see the fibre content of foods as that is something not always listed on labels. I tried the weekly special Buddha Bowl (Satay Kumara & Tempeh w/ Soba) and a Tropical green smoothie. I was really impressed, tried to make my own at home and it was nowhere near as good, sadly.